Architect Formulator is an iOS application which contains hundreds of formulas for architect designs, which can be very helpful for students of architecture. For those students who struggle with the problem of formulas and find it difficult to memorize can use this user-friendly app. Architect’s Formulator not only contains a most important formula of your subjects but also formulas from other fields like Plumbing, Carpentry, Electrical Fixture etc. It also contains more than 400 formulas for Civil Engineering and also Architecture Engineering students. 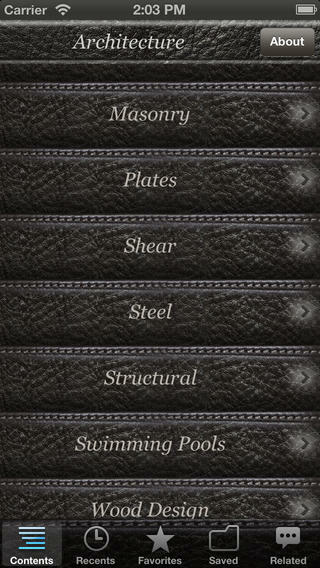 This is one of the best apps for architects and is rated at number one in top ten apps fro an architecture student. used to measure accurately and get better creative product design ideas for interior and exterior design of your house. Architect’s formulator is easy to use and contains all the most important formulas from different fields. This application is not officially released for android users but it is available at Apple Store for iPhones and iPads. For Civil Engineering students this can be more helpful as it contains formulas for concrete, and digging and also, you can do calculations for excavating soil, amount of concrete required for any particular project and also the number of bricks needed to complete the structure or wall. 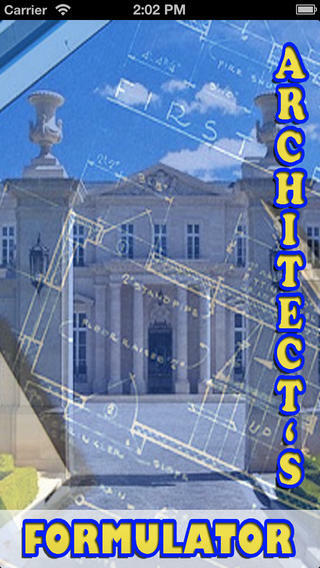 Architect’s Formulator is the best designing application for students and other architecture professors who are still learning as this contains all the detailed information about concrete and steel design, parking area design and also designing of swimming pool. It will also show you the wind load and wind overturning force with accuracy. The latest version of Architect’s formulator available is 3.9 that you can download by visiting Apple store. This is available at $9.99 but this amount is worth to pay as it will be helping you throughout your life. There are different sections from which you can choose any one of the section like if you choose carpentry then all the related formulas will be displayed like a calculating number of joints and number of studs required to complete the job. By using Architect Formulator, you can calculate the load of headers and cost of hardwood flooring. Wood flooring is a type of interior design which most of us prefer to make our house look beautiful. You can now easily see some amazing images of hardwood flooring by using Houzz Interior design app ideas that contain more than 4 million images which give you new ideas to design your house. Architect’s Formulator coolest thing is that you can mail or send any formula and also you can refer your previous work as it saves the history of your last track which helps you to remember more easily. In the Electrical students, this can be the best mobile application as it will contain all the detailed information to show you calculate Kilowatt, Horsepower, efficiency, amps, watts, currents, resistance, and voltage. Transformer topic is the most confusing for students and for solving this problem all the related formulas are included with its latest version. It helps in calculating voltage drops, capacitance, and other transformer problems. By using Architect’s formulator you can calculate expansion of pipes, radiant heat and heat loss cooling requirements. All your work will be saved that you can also email anytime. All these categories contain more than a hundred formulas and with the introduction fo latest version, soil, frequency, and piping formulas are also included. Compatibility – This application requires a minimum version of iOS 4.3 or later and can be easily run on iPhone, iPad and iPod touch. Architect’s Formulator is like a small diary of formulas which you can carry with you anywhere you like. The Formula library is updated with every new version. Also, the user interface is simple and you can easily go through one part to another and also change the category conveniently. Well, this is the best of all the applications which you must have downloaded.